"Dura square," the name reflects the basic format that defines every product. The creations are striking, precise and rectangular with a soft and flowing quality. The DuraSquare ceramics range effortlessly merges contrary forms into outcomes that are good looking and functional. 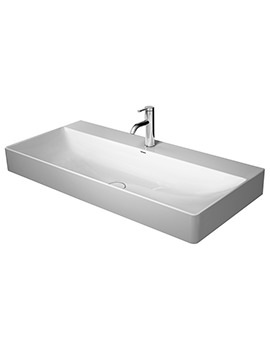 Clear, precise and minimal are its other traits, making these products timeless but also sustainable and durable. The washbasins are constructed from the innovative material DuraCeram,® with precise rims that give a spacious appearance and are easy to clean. Every product showcases a clever mixing of rectangle and circle. New metal consoles add the finishing touch to the DuraSquare range with their contemporary appearance. 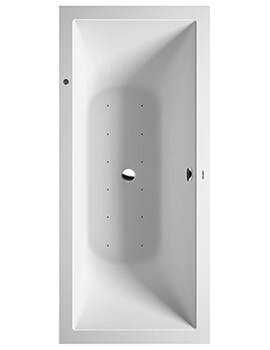 Bathtubs are made from a cast mineral material DuraSolid® and are either free-standing, built-in, back-to-wall or corner versions. 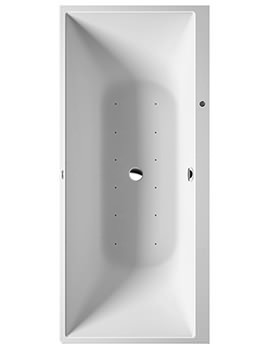 You can also view our complete range of baths, which includes large and small bathtubs.